In that year two brothers named Wilbur and Orville Wright, allowed the first female passenger, Mrs Berg to their aeroplane. Apparently this was quite a challenge. Mrs Berg was wearing a long skirt. Propellers of the aeroplane rotated very closely to her and the wind was blowing her skirt. To prevent accidents, the two men tied a rope around the ankles of Mrs Berg. And that was the very early beginning of a new fashion trend. The flight and especially the skirt of Mrs Berg, became a hot topic in newspapers and magazines around the globe. It didn’t take long before designers spotted the pictures and turned it into a new trend with a new name: The hobble skirt. Which was also known as the speed limit skirt. Since the skirt was “roped” around the knee your speed of walking had indeed a limit. It also created a wiggle in the walk of the person who was wearing the skirt. (Which is why tight pencil skirts are also referred to as wiggle skirt nowadays). Besides that, it required walking gracefully. Also stumbling over your own feet was important to avoid. The original hobble skirt craze didn’t last long, but was a forerunner of today’s mermaid gowns that are often seen on Hollywood’s red carpet and in bridal fashion. 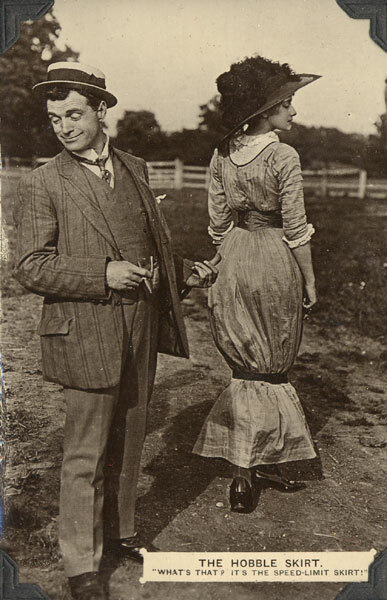 The hobble skirt disappeared very fast because of World War I and its great impact on fashion. Clothes had to be practical so skirts were shortened. Clothes that previously were seen as non-feminine like trousers, were embraced because of its practical use for working women. After World War I, young women started rebelling against the oldfashioned traditions and values in that period and that was the beginning of the flapper era (1920s). Fast-forward to 1940: the original hobble skirt had disappeared for a few decades, but was not forgotten…The flapper era was in the past and female fashion became more feminine again. 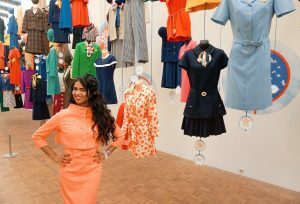 After World War II, women were tired of practical clothing, so clothes that emphasized the female curves were embraced. 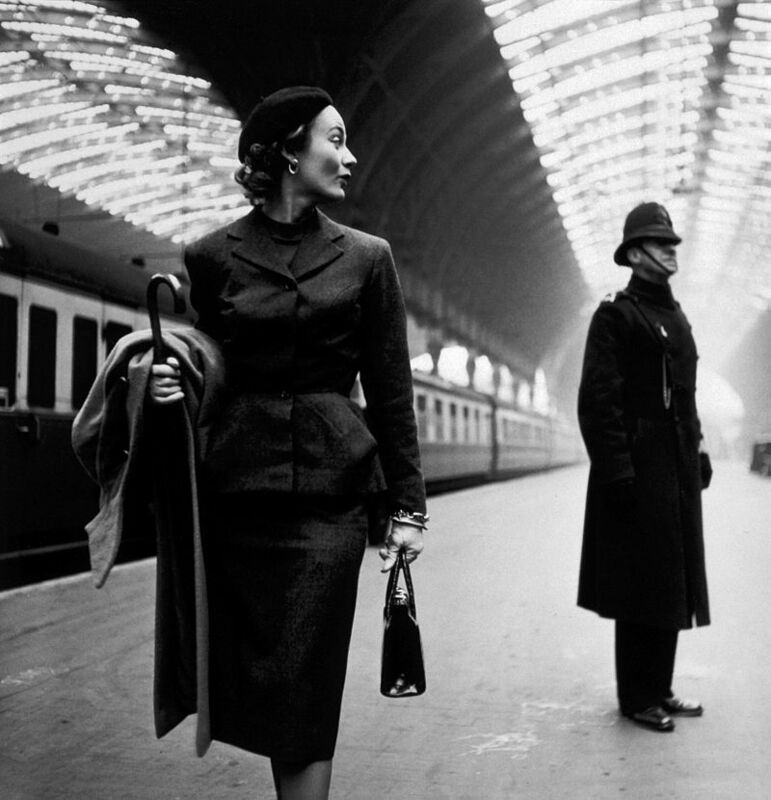 Christian Dior designed the first pencil skirt back in 1940. It was a shortened version of the original hobble skirt. The very first pencil skirts were worn as part of a female suit which included a pencil skirt and a jacket. Later on, the pencil skirt was combined with fitted blouses, sweaters and tops that accentuated the female curves. Hollywood stars of the 1950s loved the pencil skirt and that was the point of no return. Celebrities like Marilyn Monroe, Audrey Hepburn, Cyd Carisse and Grace Kelly were seen in pencil skirts on- and offstage. 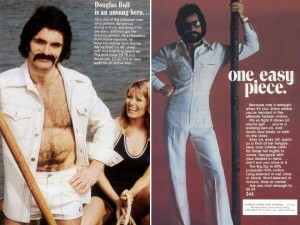 The public quickly adapted to this fashion craze. In the 1960s, Audrey Hepburn set another trend in the movie “Breakfast and Tiffany’s: the (black) pencil dress. While most fashion trends come and go, both the pencil skirt and pencil dress never became out of fashion. During the 1960s and 1980s the pencil skirt went mini. But the original length of the pencil skirt (on the knee or beneath the knee) always stayed on top when it came to classic female fashion items. Combine it with seamed tights and some high heels and bammm…instant feminine classiness guaranteed.